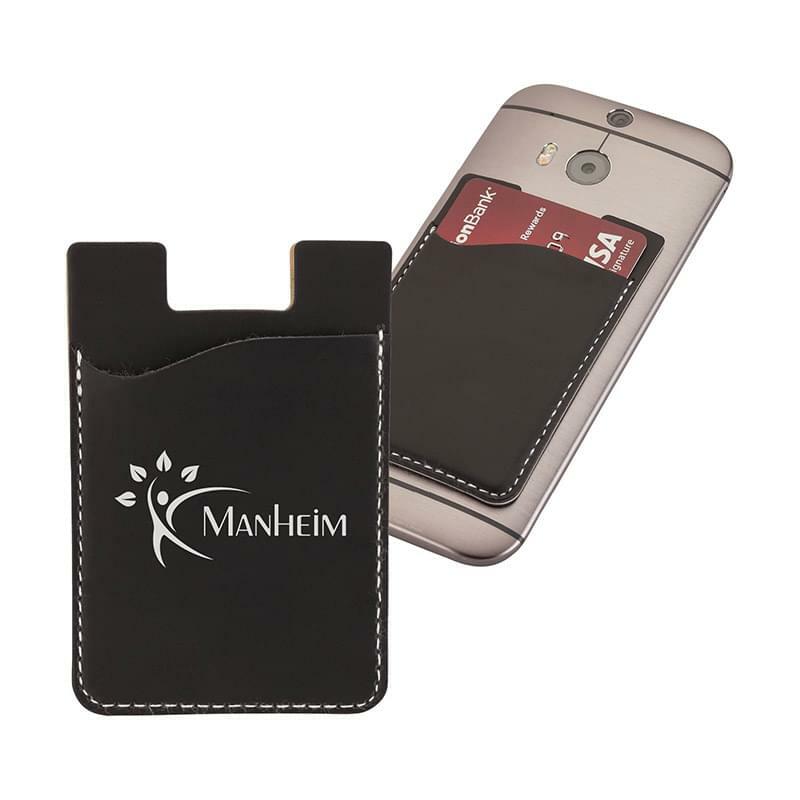 The Manhattan leatherette phone wallet features white contrast stitching and conveniently holds two cards, such as your I.D. or credit card on the back of your phone. The 3M adhesive backing will keep the wallet on most phones and phone cases without demagnetizing your cards. Great for when you would rather not carry your full wallet or purse. Easily fits in a mailing envelope. Decoration Information - Your artwork is heat pressed so that the image is pushed down into the material. Prices include 1 location.